FREETOWN, Sierra Leone -- Junior doctors in Sierra Leone went on strike Monday to demand better treatment for health workers who become infected with Ebola, a health official said. The association representing junior doctors asked the government to make sure life-saving equipment, like dialysis machines, is available to treat infected doctors. The government has promised that a special treatment unit for health care workers will open soon and will be fully equipped. But the doctors began their strike anyway, according to Health Ministry spokesman Jonathan Abass Kamara. Ten of the 11 Sierra Leonean doctors who have become infected have died. Ebola has killed about 6,200 people, including hundreds of health workers. Throughout the outbreak in West Africa, health care workers have periodically gone on strike to demand better protection or higher pay. In an effort to make sure health workers get top-notch treatment, special centers dedicated to their treatment have already opened in Liberia and Sierra Leone. As infection rates in Liberia and Guinea begin to stabilize, Sierra Leoneans and their government have been asking why the disease is picking up pace there and some have lashed out at the British response. In particular, the British charity Save the Children, which is running the first U.K.-built treatment center to open, has been criticized for a slow and disorganized rollout. The charity defended its actions on Monday, saying that it stepped into a role at the Kerry Town center that no one else wanted and that it has said all along that it does not have experience running an Ebola ward. It said it is slowly opening more beds, as is considered the best practice. A month after the center opened, 40 of 80 planned beds are operational. The side of the Kerry Town clinic that is for health workers has also been controversial after rumors that it would only accept foreign health workers or only ones working at British-built centers. 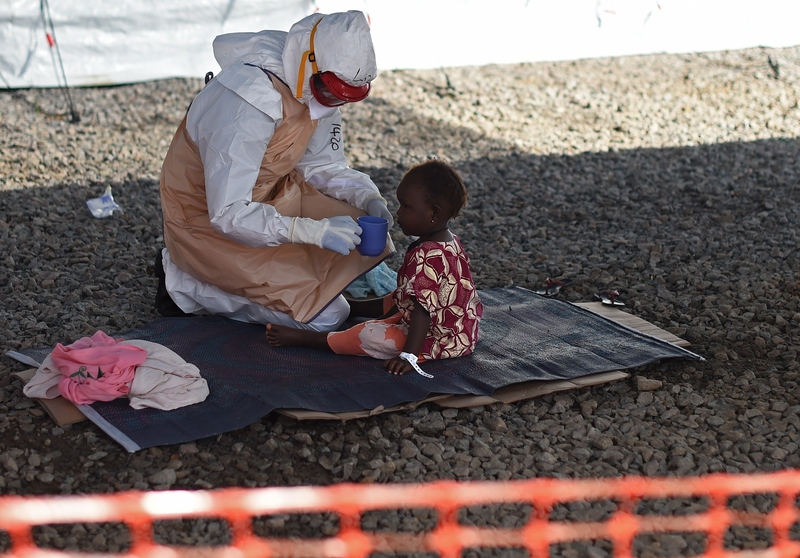 The clinic is open to any infected frontline health worker, said Andrew Ewoku, a media manager for the charity in Sierra Leone.